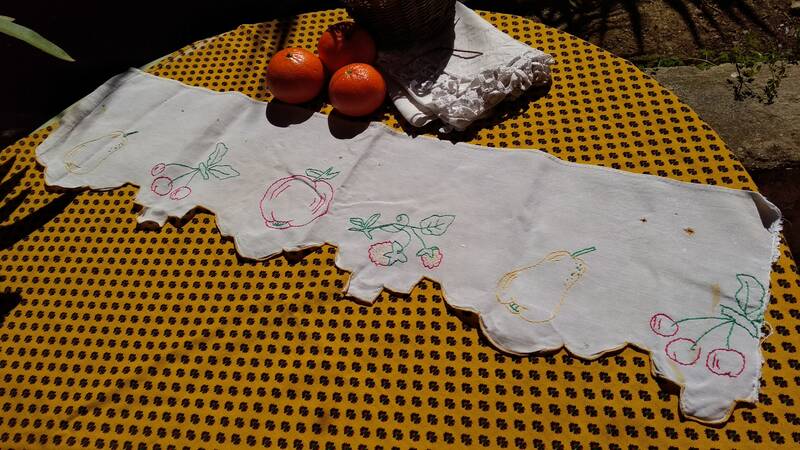 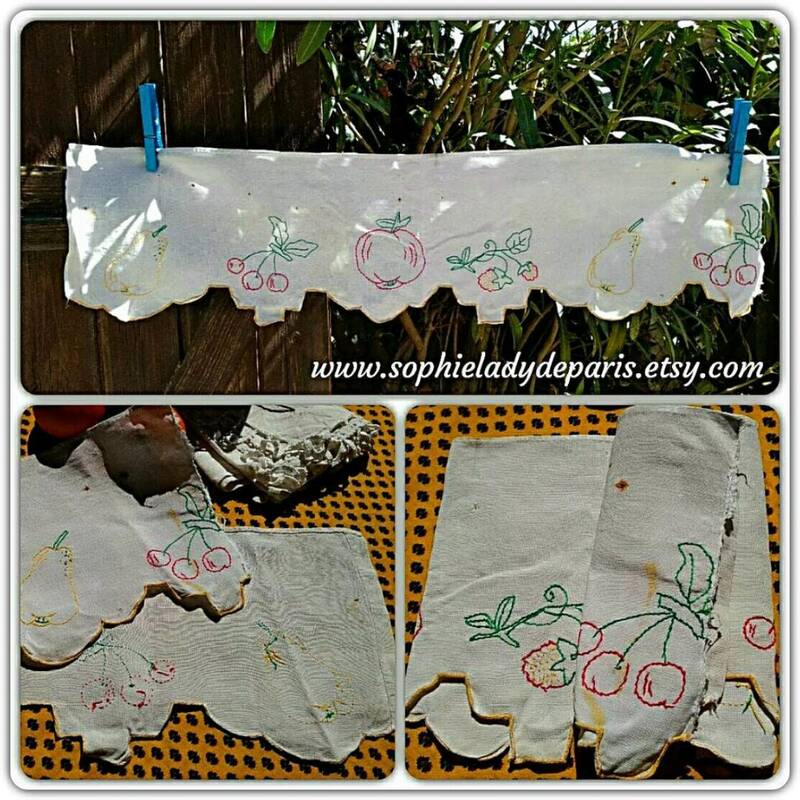 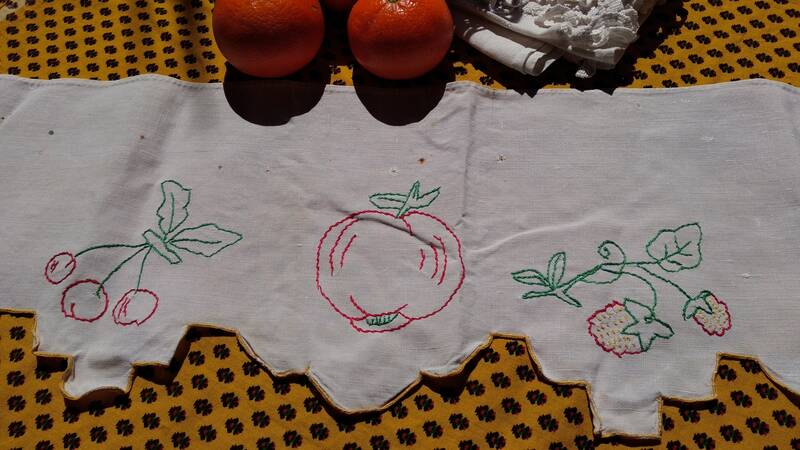 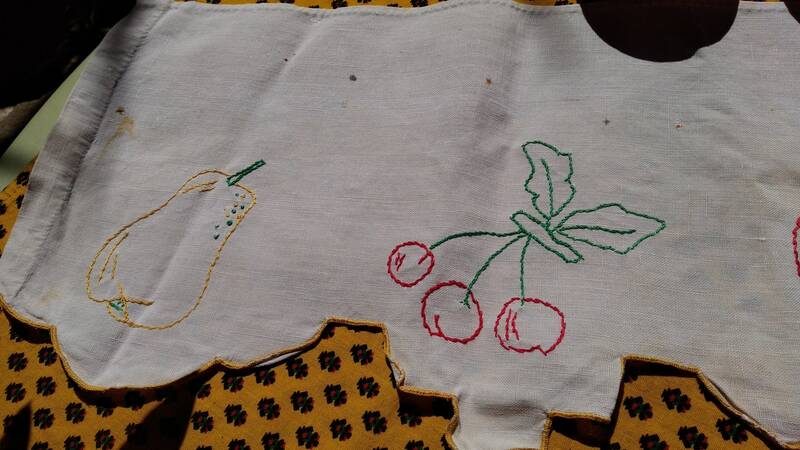 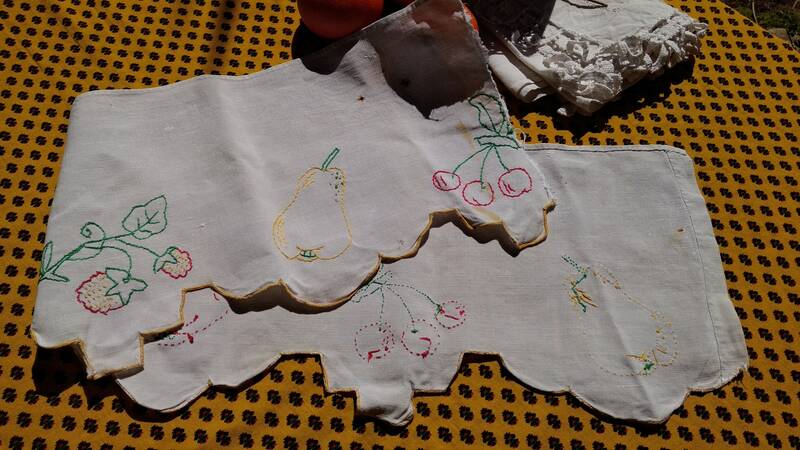 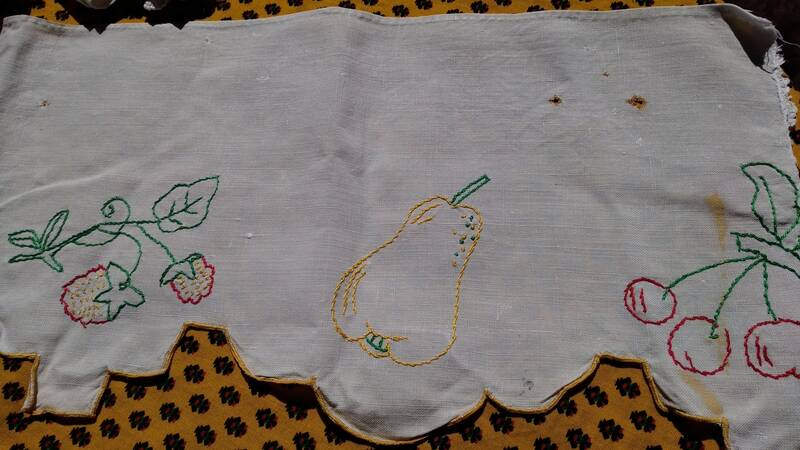 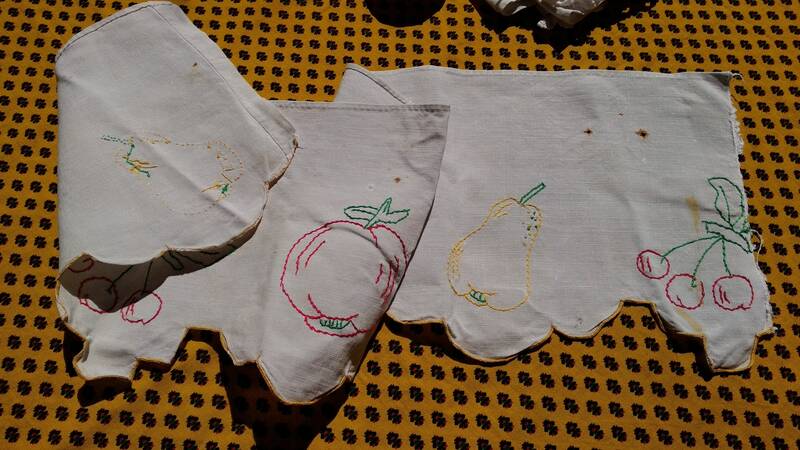 Antique linen French Shelf Edging with Fruits hand embroidered. 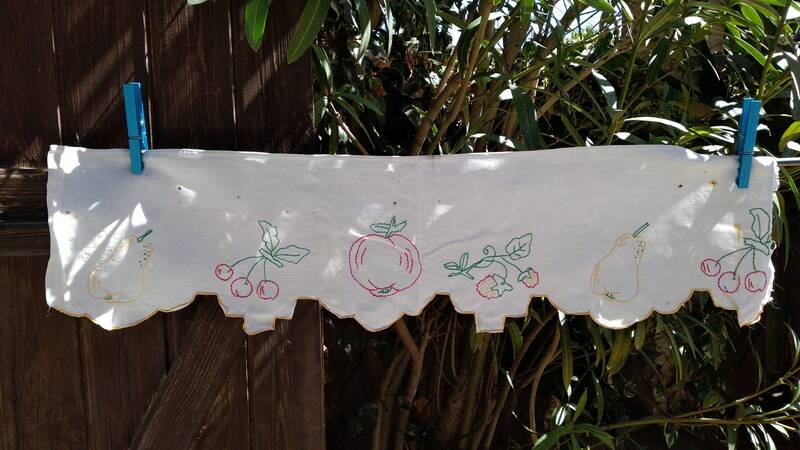 Red, Green, Yellow scalloped. 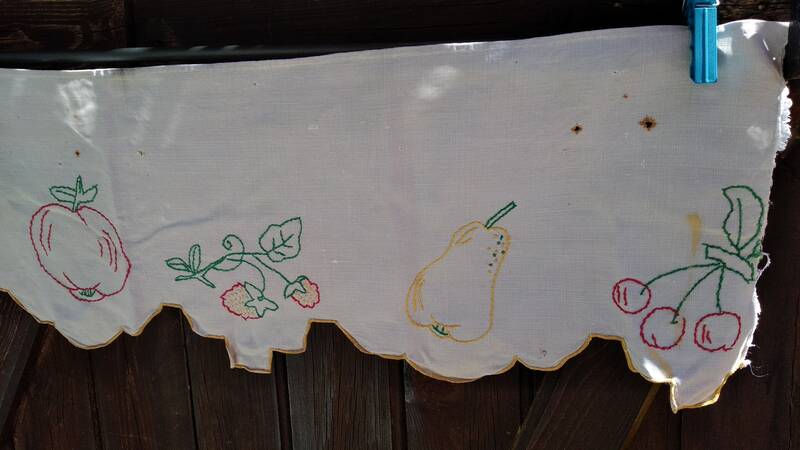 Original fruits design, apple, cherry, strawberry, pear. 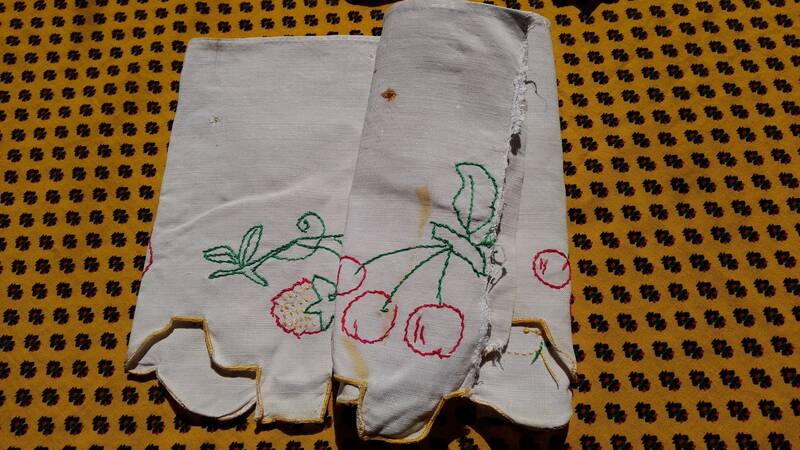 Vintage condition , stains, no right side hem line done.